Special among the canines for its tree-climbing ability, the gray fox (Urocyon cinereoargenteus) has been known to build dens thirty feet above the forest floor. As a pup such as this one grows, it will develop a partially reddish coat that humans easily confuse with that of a red fox (Vulpes vulpes). 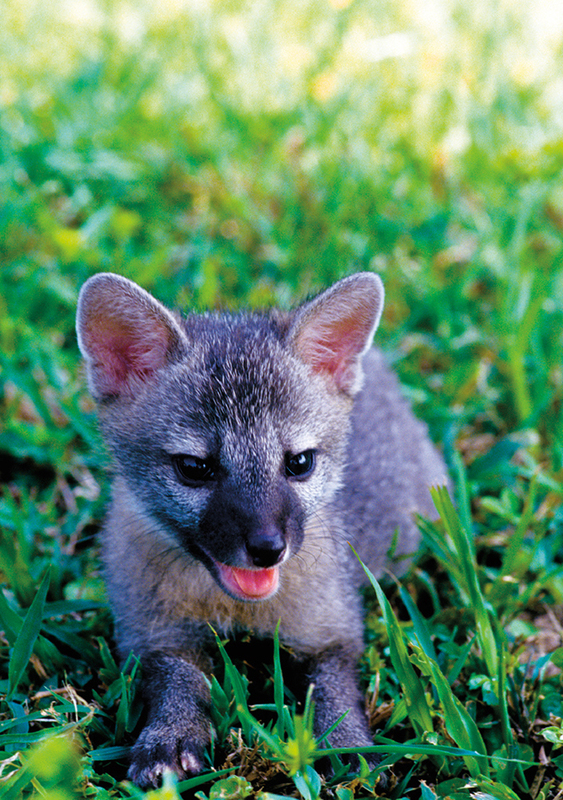 It’s an understandable mistake—the two species can inhabit the same territory, but the gray fox can easily be distinguished by its shorter legs and tail tipped with black.